Inside plant, premise networks, out buildings, for telecomm, data, fire alarm, surveillance, automation, etc., fiber is everywhere. Although the concept of fiber optics started in the late 1800s, the actual fiber optic glass used today has not changed much since the early 1980s. 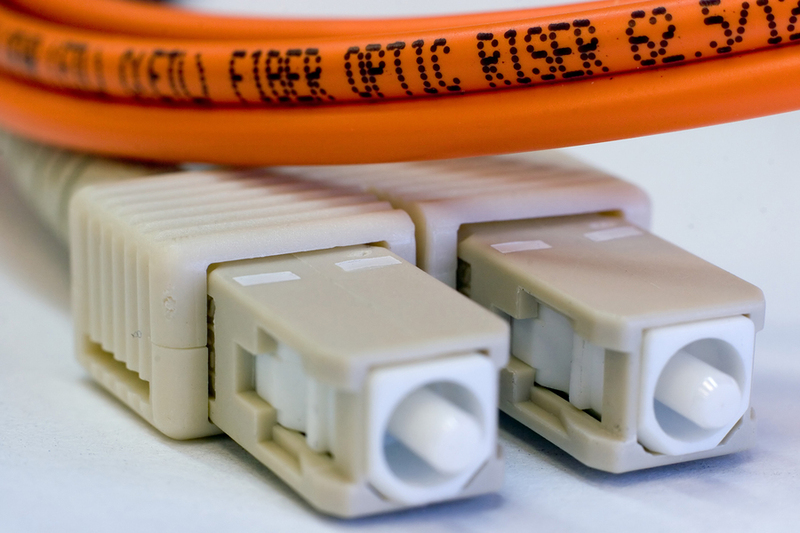 Installation methods, connectivity and components have been streamlined and better standardized over the years allowing the benefits of fiber in premise networks, surveillance, and other systems. DB Systems is certified by The Fiber Optic Association Inc.
We have been trained in fiber optic analytics using optical power measuring equipment including OTDRs (Optical Time-Delay Reflectometer), installation of cleave and polish connectors, Fusion splicing for the fiber itself as well as factory polish connectors for single-mode and multi-mode, including 62.5um, laser optimized 50um, inside distribution, breakout, outside premise, and loose tube style fiber cable. See more related pages under the Network/Data menu below.